Hiya guys! Hope you're having a fantastic afternoon and not having heat-stroke like I am. Although we are approaching fall, Jersey is getting hit by a heatwave this week. I'm definitely more than anticipating that hoodie weather and the pumpkin spice lattes. 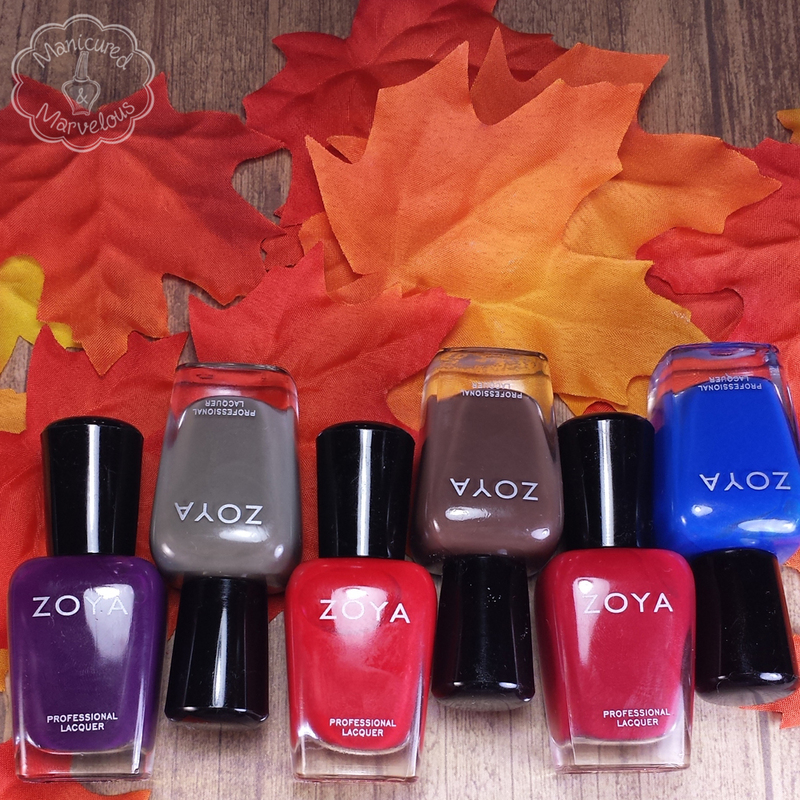 In the meantime, I'll be indulging in the beautiful fall releases, such as the Zoya Focus and Flair collections. Today I'll be sharing the first half of the collection, the cremes. 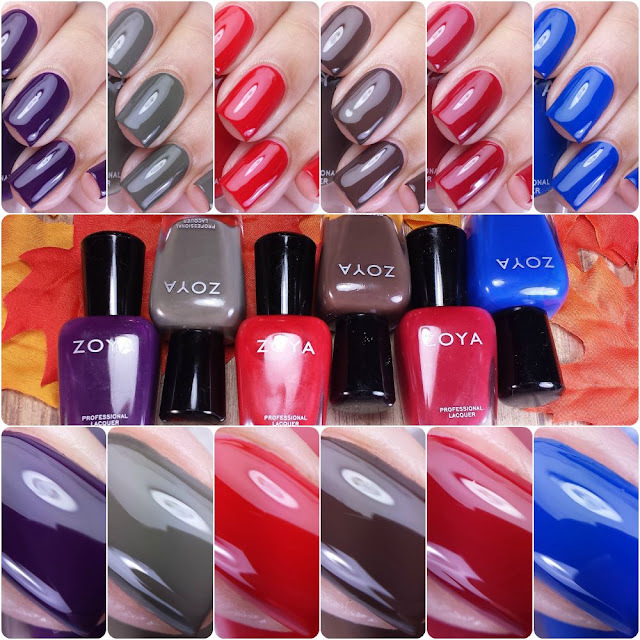 The Focus collection by Zoya is already available for purchase. The full set of six can be purchased for $54 or you can grab any individual color for $9. Lidia can be described as a rich eggplant cream with a blackened purple base and just a hint of red resulting in a color that is wearable for most skin tones. Kicking off this post with one of my favorites, a must-have for the season. 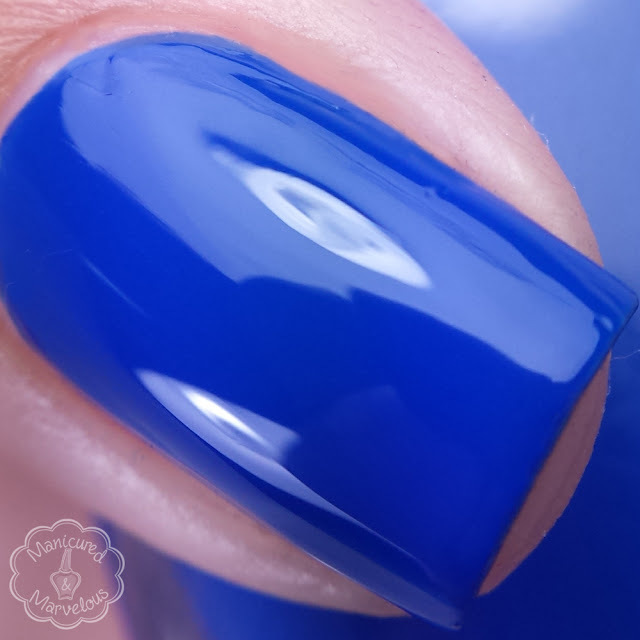 As with most purple and blue tones, this polish has a slightly stronger smell than normal. Nothing too overwhelming though. Formula and consistency were fantastic, almost a one coater. Best of all, it did not stain my nails whatsoever. Shown here in two coats and sealed with a glossy topcoat. Desiree can be described as a classic sable brown cream that has just enough gray to keep it cool in tone. Look familiar? 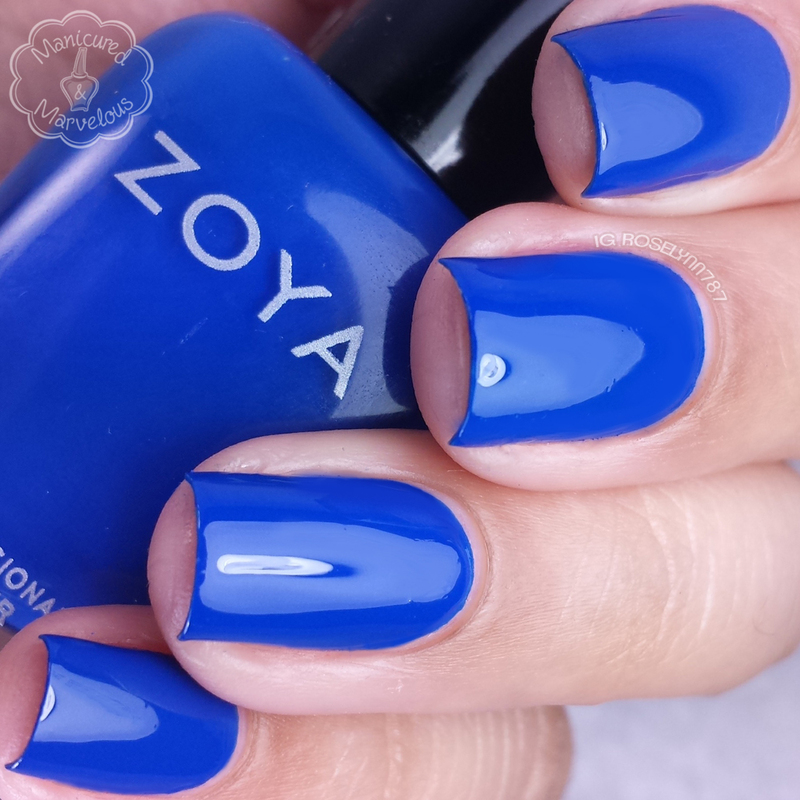 If you're a Zoya fan than it might remind of one from last year called Emilia. The colors are almost exact dupes, so if you do own Emilia then you can walk right past this one without missing a beat. Formula is a bit streaky on the first coat and I found the consistency to be on the thin side as well. You definitely have to be careful not to flood your cuticles. Shown here in two coats and sealed with a glossy topcoat. 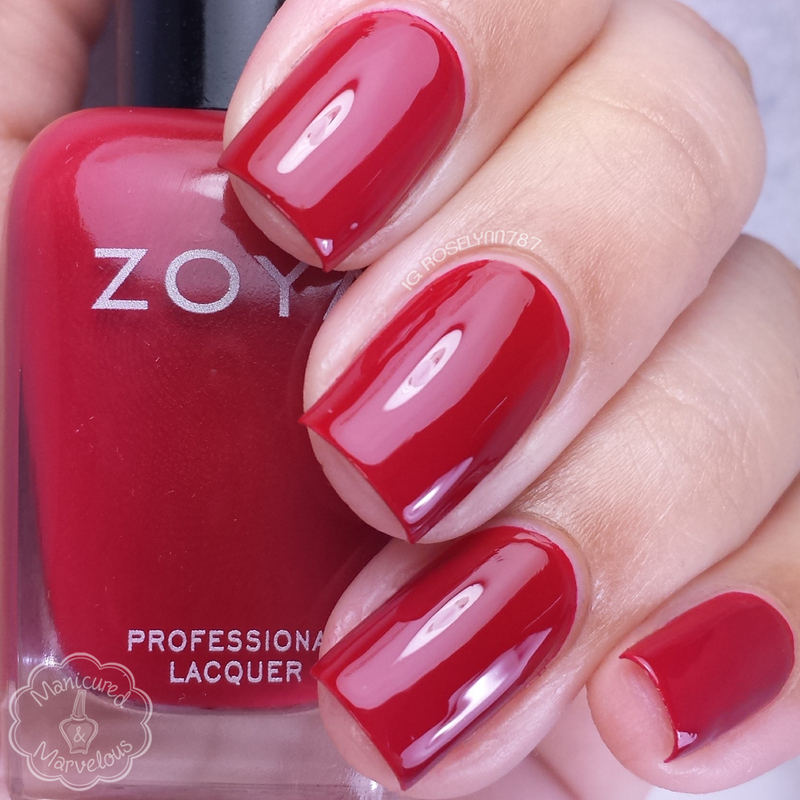 Janel can be described as a deep red cream with a rich warm undertone. 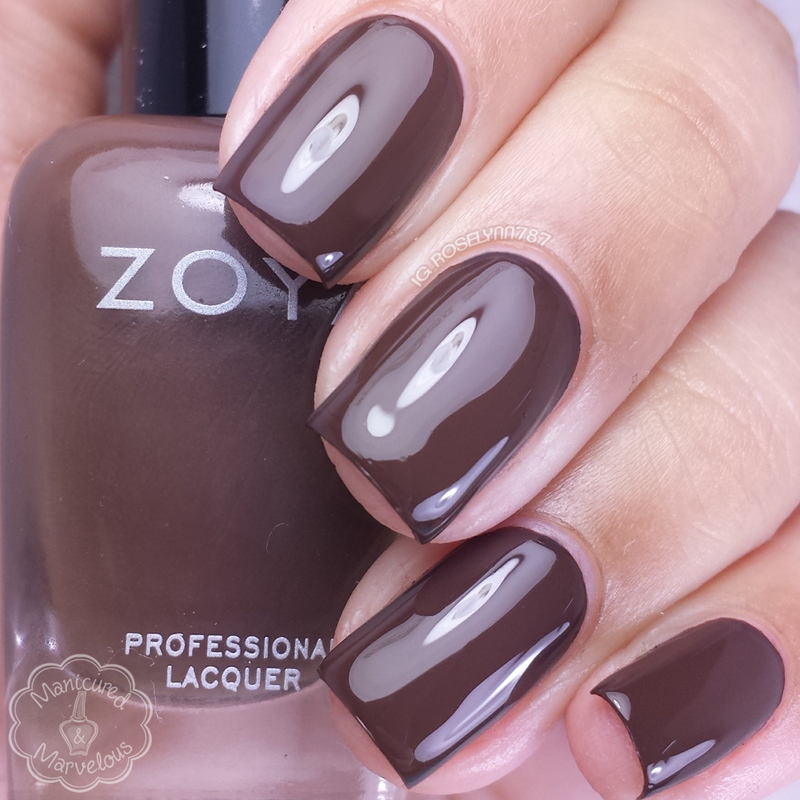 I really love the berry undertones in this one, I feel it meshes well with the fall season. The formula wasn't as thin in this one, but the polish was still very opaque in one coat. Definitely another favorite of mine. Shown here in two coats and sealed with a glossy topcoat. Charli can be described as a dusty taupe cream with a hint of green, a perfect neutral. I really didn't think I was going to like this color at first, but the more I wore it the grew on me. The shade feels very unique to my collection and not something I would wear normally. 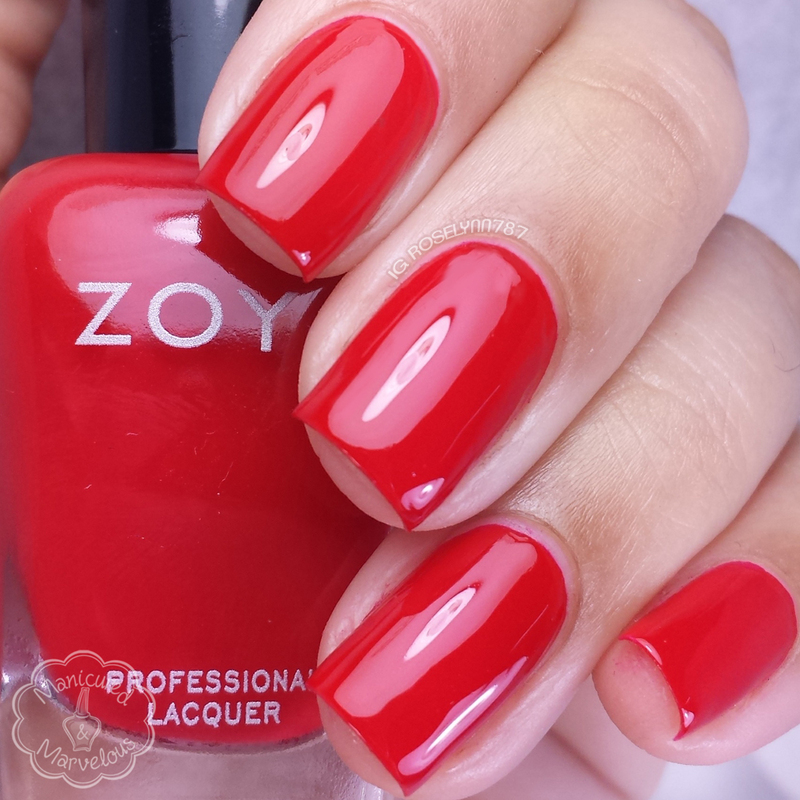 The formula with this one is thin and will cause cuticle flooding if the brush is overloaded. Shown here in three coats and sealed with a glossy topcoat. Sia can be described as a a true, royal blue cream. Another must-have without a doubt! This is such a gorgeous shade of blue, everyone has been raving about it on social media and I don't blame them. Like with Lidia, this polish has a slightly stronger smell than the rest of the collection. Formula was very thin with this one causing cuticle flooding easily. I didn't experience any staining myself, but it is recommended that you use a good base coat because of the high pigmentation. Shown here in two coats and sealed with a glossy topcoat. Hannah can be described as a clear, classic red cream with a balanced (neutral) undertone. Again a little reminiscent of the color Sookie that was available last year. And even if you don't have Sookie, there isn't enough variation in the tone from the countless other red cremes out there. This definitely feels like the odd one out in this collection. Formula was pretty good and not as thin as some of the others. Very opaque and almost a one coater. Shown here in two coats and sealed with a glossy topcoat. Overall I feel like this collection is both a hit and a miss. While I love most of the shades in this collection, I'm a little disappointed at the dupes Desiree and Hannah. 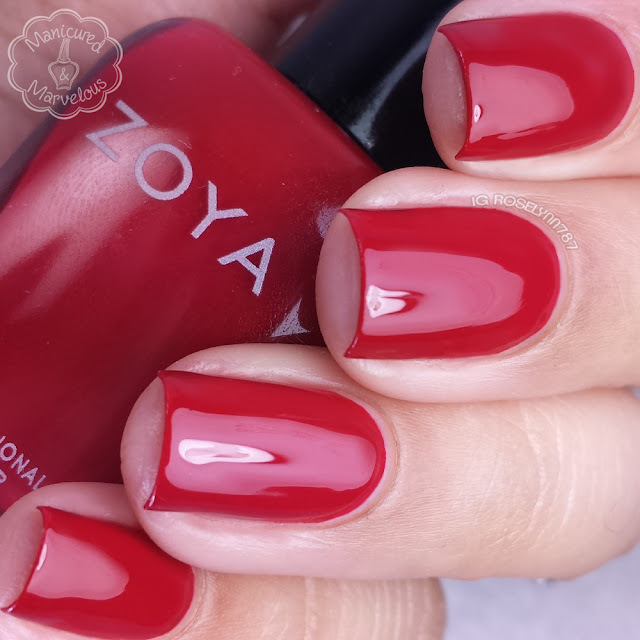 Especially for those of us who are Zoya fanatics. I would of loved to see maybe a burnt orange tone or even a dark grey instead of these. But what do you guys think of this collection? Each one of the shades shown here retails for $9 and will be available both on the Zoya website and in stores. that purple shade was made for you. I loved Lidia but I found mine to be a little thin and very sheer. Sia is definetly the stand out for me. Charli is so gorgeous on you - I think it's a great fall neutral polish! Desiree would be my favourite but I always have issues with formulas like that. It must be because I am unable to do thin coats! Funny how Lidia didn't give you any issues - other bloggers seem to find it so sheer! I love Charli best :). Your swatches are amazing! Sia and Lidia are my favorite! The heat! I can't take it anymore! I'm hoping by looking at all the amazing fall Collection swatches, I can will autumn into existence. Your macros of these are impeccable. Although the colours are imo not unique, they are beautiful basic colours and therefore musthaves. Lidia is my favourite. And your swatches are absolutely gorgeous! I seriously afore your swatches. Way to make me want a collection I already have! !